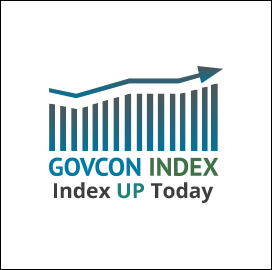 The Executive Mosaic GovCon Index closed up for the fifth consecutive day with a mix of service providers and platform companies leading the pack. Technology stocks rebounded from a two-day slump, what Bloomberg called the worst slide of the year. During the course of the day, the Dow Jones Industrial Average hit a new intraday high, the S&P 500 got close to making a new record and the Nasdaq 100 Index made a comeback from a two-day slump. WTI spent a good part of the trading day above the $46 mark, but dropped towards the end of the day, closing at $45.95.